The board is being updated on an hourly basis to keep track of which team fans predict will win the big game. Results will be announced tonight before the game via Coca-Cola’s social channels. 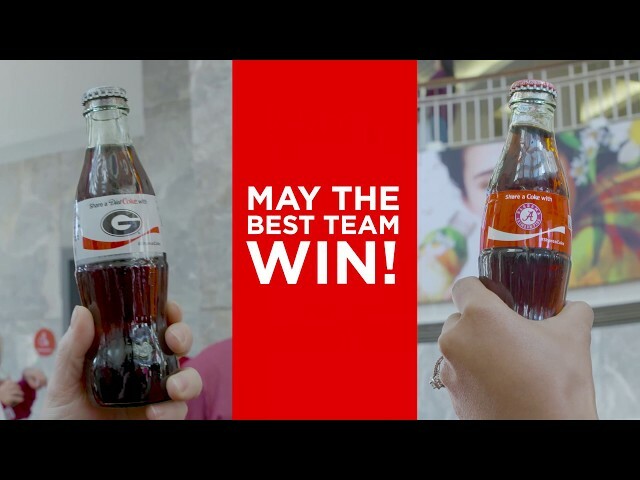 On Friday, Coca-Cola hosted a special pep rally at its Atlanta headquarters to get UGA and Alabama fans fired up for tonight’s showdown taking place just over a mile away. Read more.